At Carnegie Learning, we consider ourselves lifelong learners. Every day, we work on continually developing our knowledge in order to make the best possible math solutions for teachers and students. What We're Reading is a new series to share some of that learning with you. 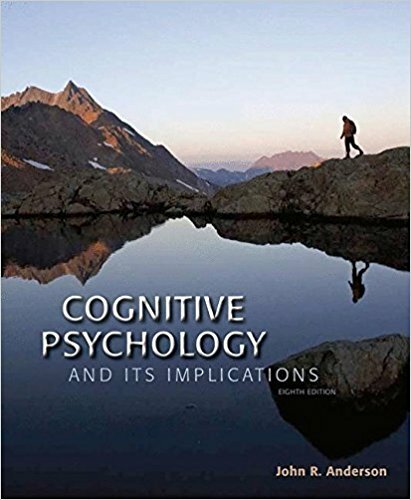 Cognitive Psychology and Its Implications is an overview of the field of cognitive psychology and is used in some college courses on the subject. It was written by Dr. John R. Anderson, R. K. Mellon University Professor of Psychology and Computer Science at Carnegie Mellon University. His research on how people learn has revolutionized the impact that technology can have on student learning of mathematical concepts and skills. The early intelligent tutoring systems (ITSs) he developed were so successful that Carnegie Learning was founded to help students use one of their successors (now known as MATHia) for deeper, more effective math learning. Dr. Anderson was also a 2016 recipient of the Atkinson Prize in Psychological and Cognitive Sciences from the National Academy of Sciences, along with Dr. Carol Dweck. I often credit this book as the reason I became a cognitive scientist. An earlier edition was the assigned textbook for my first college course in cognitive psychology, and it was through my instructor that I met my first ITS. The book led me to not only major in the field but also earn two advanced degrees in it, and I’ve referenced parts of it in my own undergraduate teaching of human cognition. Recently I ran across a newer edition of the book, and I decided to share some of my thoughts on it. The book covers a variety of human cognition topics including perception, attention, memory, problem solving, reasoning, and language, but one chapter I found particularly interesting focuses on expertise. The chapter offers insight into how students develop their knowledge that still informs the Carnegie Learning approach today. Students acquire skills through practice. As students practice, they convert declarative knowledge (facts and figures; e.g., a formula) to procedural knowledge (fluency; e.g., knowing when and how to apply the formula). We’ve designed MATHia with these notions in mind. Students need to master required mathematical skills before they can move on to requisite workspaces in the software. We assume that when a student first encounters a new skill, it may be more difficult for them to master than skills they have practiced before, and we account for that as we design the skill models for new workspaces. The Progress Bar helps students see which skills they have mastered and which they still need to work on. Every step they take while solving problems in MATHia impacts the Progress Bar. We also provide Just-in-Time feedback based on the student’s process for solving a problem. For example, if a student is asked to add two numbers but subtracts them instead, MATHia might point out, “You have the correct numbers, but you’ve subtracted them instead of adding them.” This immediate feedback based on diagnoses of students’ potential misconceptions helps students learn from their mistakes and get back on the right path more quickly. Anderson’s book is an important contribution to the field of cognitive psychology, and at Carnegie Learning we continue that work every day, making MATHia the best it can possibly be for students everywhere. John is a cognitive scientist with three degrees (A.B., M.S., & Ph.D.) in cognitive psychology. He has conducted research on intelligent systems for computer programming, physics, explanatory coherence, and scientific inquiry. 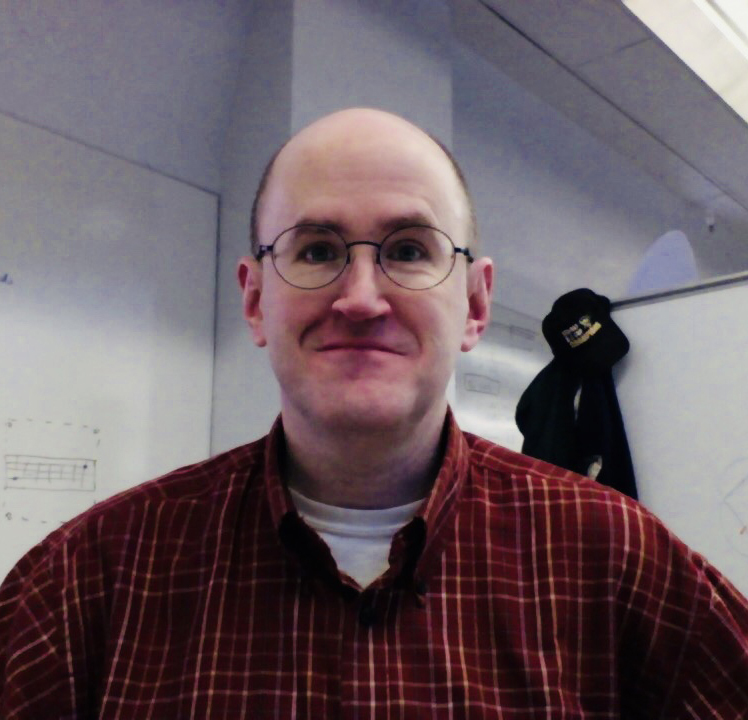 John has taught undergraduate courses in introductory psychology, research methods, and human cognition, and he has years of more informal experience tutoring secondary and post-secondary mathematics. As a member of the software content development team at Carnegie Learning, John brings his experience to bear on the design and implementation of both new and ported mastery workspaces for our suite of math software products. I often credit this book as the reason I became a cognitive scientist.